CINCINNATI — Rocket Lab announced July 10 that it has selected four potential locations for an American launch site for its Electron rocket, with a final decision to come in August. In a statement, the company said it had shortlisted Cape Canaveral, Florida; Pacific Spaceport Complex – Alaska; Vandenberg Air Force Base, California; and Wallops Flight Facility in Virginia as the potential locations of what it calls Launch Complex 2. Rocket Lab said it will select from among those four sites for the complex in August and start construction “immediately” thereafter. The company said it expected to have the site completed and ready to host its first launch in the second quarter of 2019. 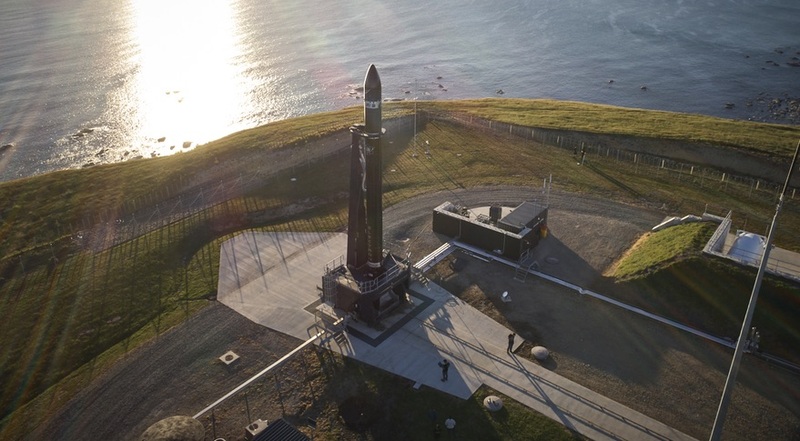 The company, which is headquartered in the United States but with much of its operations in New Zealand, currently owns and operates its own launch site on New Zealand’s Mahia Peninsula called Launch Complex 1. That site has hosted two Electron launches to date. A third launch was postponed in late June because of ongoing technical issues with the rocket, and the company has not announced a new launch date. While Launch Complex 1 is capable of hosting one launch every 72 hours, Rocket Lab said adding a U.S. site would help it attract customers, particularly government agencies, that would prefer to launch from American soil. “Launching from U.S. soil adds an extra layer of flexibility for our government and commercial customers, offering an unmatched ability to rapidly deploy space-based assets with confidence and precision,” said Peter Beck, founder and chief executive of Rocket Lab, in a statement. The four launch sites offer different options for Electron launches. Cape Canaveral and Wallops are best suited for launches to low and mid-inclination orbits, while Alaska and Vandenberg are used for launches to sun-synchronous and other high-inclination orbits. The company said it will use “current and anticipated manifest demand” for specific orbits as one factor in the selection process. Other site selection factors include construction and operation costs and regulatory issues. All four sites have been making efforts to attract business from companies like Rocket Lab that are developing small launch vehicles. Firefly Aerospace announced in May that it will take over a Vandenberg launch complex currently used by the Delta 2 after that vehicle’s final flight in September. Firefly expects to start launching its Alpha rocket from Vandenberg in the third quarter of 2019 and is considering East Coast launch sites such as Cape Canaveral and Wallops for a second location. Vector, another small launch vehicle developer, has looked at several locations, including both existing facilities and the proposed Spaceport Camden in Georgia. Vector says it will perform its first orbital launch later this year from Alaska, the same spaceport where Astra Space, a secretive small launch vehicle startup, had planned to perform a suborbital test flight of its vehicle earlier this year. Astra Space postponed launch attempts on two occasions and has not announced a schedule for another test. The interest in Pacific Spaceport Complex – Alaska has led the site’s owner, Alaska Aerospace Corp., to establish a new subsidiary called Aurora Launch Services. In a July 6 statement, Alaska Aerospace said Aurora would be the “exclusive provider for launch services” as the spaceport. In its statement, Rocket Lab said it will construct its own infrastructure for Launch Complex 2, rather than using an existing facility at the selected spaceport. Less than a year ago, though, Beck didn’t sound eager about revisiting the process of building a site after his experience with Launch Complex 1.